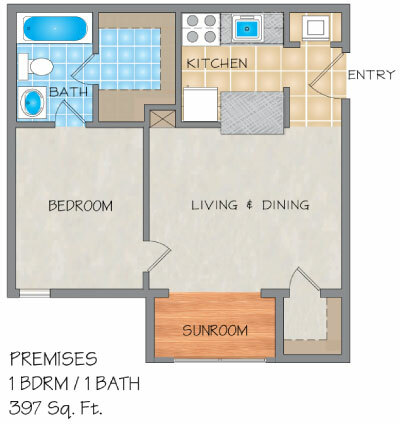 Please send me more information about Premises Apartments. 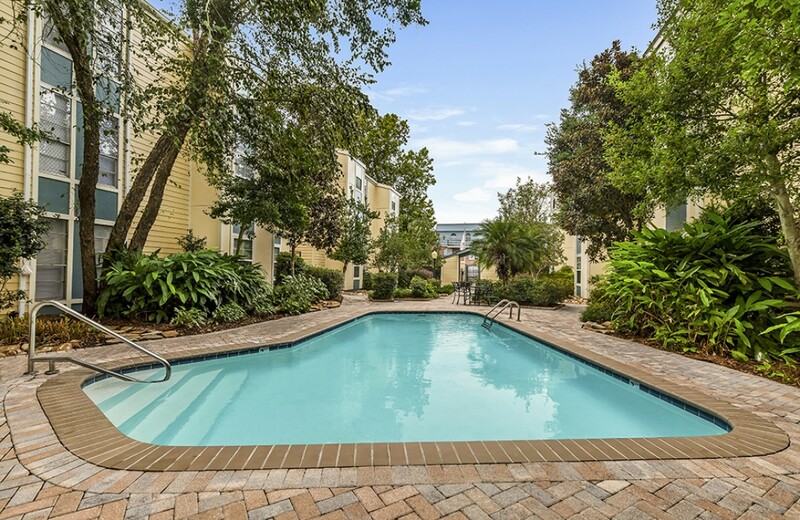 The Premises is a Metairie, LA apartment community located blocks away from Lakeside Shopping Center and is close to Downtown New Orleans, Interstate-10, restaurants, and shopping. 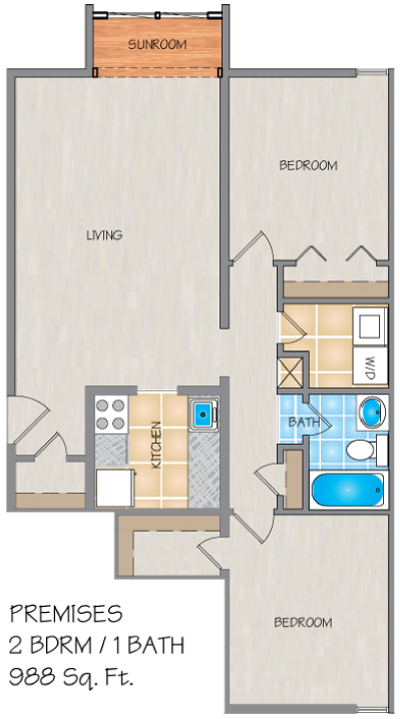 The Premises' apartments offer resident comfort, charm and convenience. The property has ample off-street parking and an inviting landscaped courtyard nestled within limited access gates. 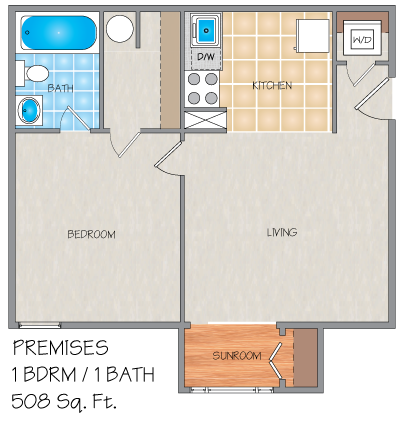 All one bedroom apartment homes have a large walk-in closet, fully equipped kitchen with a cozy dining area, window coverings, ceiling fans and washer/dryers. Private sunroom/home office areas extend your living space. Cathedral ceilings and skylights are also featured. Wonderful with New Manager Monica, our new apartment manger is amazing! Absolutely amazing! I have lived here for five years and she is really cleaning up the place. She is so professional, takes all of your concerns seriously, and you get results really fast with her. This has always been a nice little apartment complex, but with Monica, it is really fantastic to live here! I had never lived by myself, nor lived in New Orleans and the premises made my first experience for both a great one! The staff was friendly and if there was ever an issue they fixed it right away. I could always call the office for anything. Very quiet and I had a very nice neighbor. The community is a mixture. It was gated and that was a plus for me. I would recommend this facility to a friend or family member! Safe and Convenient place to live! If you are looking for a safe, gated community that is close to all the city has to offer, look no further! Unlike other places that claim to be gated -when in reality only keep their gate secure at night- The Premises is gated at all hours, DAY and night! There are only two buildings on the property and there is ample parking! Say goodbye to the days of crowded parking lots with all sorts of riff-raff in and out of property. I have come to recognize my neighbors and their vehicles which makes me feel really safe being a single female who lives alone. And not to forget about the staff, the property manager is awesome to work with. Super friendly and truly cares! The maintenance, if ever needed, is also super fast. I put in a work order and it was done by the time I got home from my office. Also had NEW carpet, NEW paint, NEW appliances when I moved in. Check this place out!!!!!! If you are looking for a safe, gated community that is close to all the city has to offer, look no further! Unlike other places that claim to be gated -when in reality only keep their gate secure at night- The Premises is gated at all hours, DAY and night! There are only two buildings on the property and there is ample parking! Another benefit of it being a relatively small complex is that you rarely see a face you don't recognize, which really helps me in feeling safe being that I am a female living alone. THE STAFF?! They're amazing and truly care! The maintenance, if ever needed, is also super fast. I put in a work order for a non functioning oven burner and it was done by the time I got home from my office. Also had NEW carpet, NEW paint, NEW appliances when I moved in! I moved into an apartment that was in superb condition, and still the staff urged me to let them know if anything was not up to my liking.This is the ONLY place I have EVER lived that I am 100% satisfied with. You've gotta check this place out! 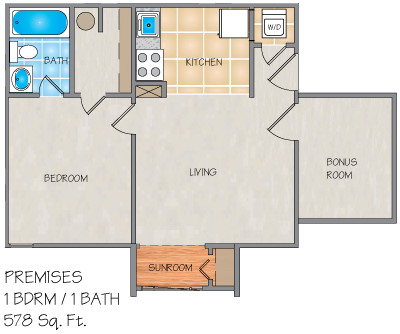 The best thing is the washer/dryer in each unit. Also, the pool area is nice, and it is nice that the water is included with the rent payment. The walls are very thin. The worst thing, by far, is the office staff. There is a ridiculous amount of turnover. The single-person office staff has changed at least 5 times in a year and half. The only consistency is how rude and incompetent most of them have been. They enter the occupied apartment units far more often than necessary and without advanced warning or explanation. There are tons of hidden fees and surprise complications. They make it very difficult to pay the rent, not accepting payments outside of the 830 to 5 office hours, which would cause you to miss hours of work, or applying a $25 "convenience" fee to make online payments. They will take months to respond to your inquiries, but you will be expected to respond to their messages immediately. If you do move in, take tons of photos and record detailed descriptions of the apartment condition on the move-in form because they will charge you hundreds and hundreds of dollars (far exceeding the deposit amount) just for normal wear and tear, and the burden of proof is on you to show if any of it was pre-existing damage. They charged us tons of money for every little imperfection when we moved out, yet when we moved in, they gave us possession of a unit that was in terrible shape. It gives the definite impression that they are just keeping that deposit money rather than spending it on the needed repairs. When asked for an itemized list of the damages being billed for, they would not provide any detailed description of what exactly the damages were. They became rude when asked to do so. At the first minor complication or if rent is not paid by the 5th of the month, they are absolutely ready to evict you, no questions asked. Also, (not from personal experience), if you have a felony, don't bother applying at all. The property manager is awesome! The maintenance staff is always readily available. The property is clean and quiet. Lots of family. Only gated community on the street. Mall is walking distance. Pool is always clean! AWESOME AWESOME!! my stay at the premises apartments has been amazing. I love my apartment. Property is always kept very clean. thanks Edgar. Everyone has been really nice and I haven't had a single problem since I've been here for almost a year. I strongly recommend this complex to anyone who will be as awesome as the people already here. I have been at the Premises for three years and have lived in three other apartment complexes around Metairie prior. The Premises is quiet and suits my needs well. It is clean, and I have never had a problem. The groundskeeper, Mr. Edgar, does a great job. I love living at premises! The staff is so nice and friendly! The grounds are always so beautiful and clean. The location is amazing. I'm close to the mall, on the parade route, and still close for me to go to work in New Orleans. I love that my partner has a washer and dryer. You can't beat it for the price. I would recommend it to anyone. Everything is going fine and I have no complaints. 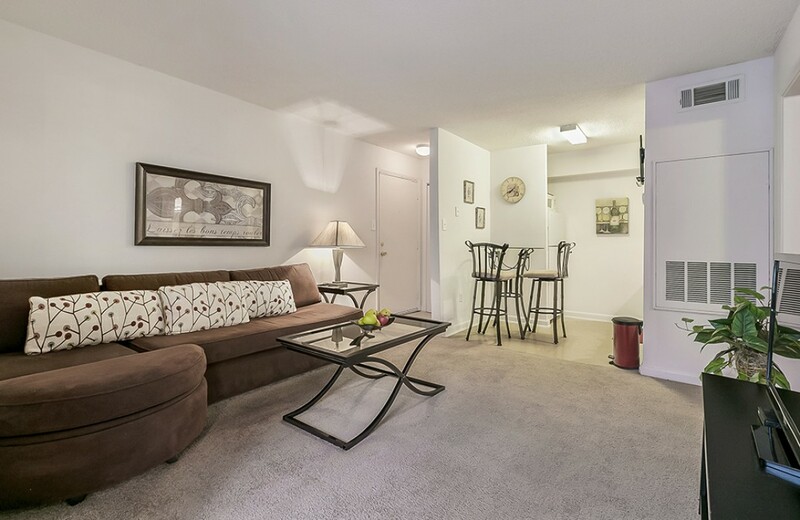 It is in a very convenient location for groceries, drug stores, and shopping centers. I moved here from Los angeles on November 2013, and I think "The Premises" was a very good choice for me and my family. friendly and amazing staff, nice location and clean apartment. That is all I need to enjoy. I will recommend it to everybody.